"It is not a level playing field, even without cheating," says Mark Kantrowitz, publisher of SavingForCollege.com. 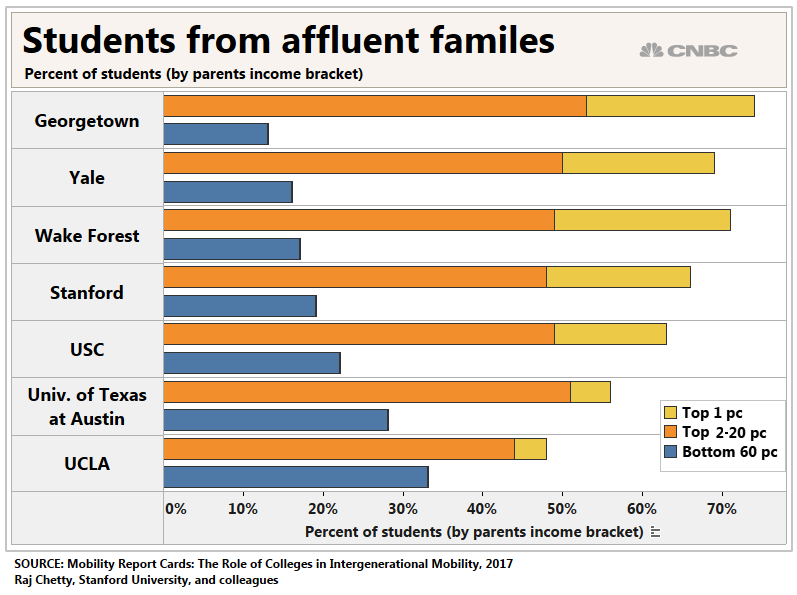 At Georgetown University, most students hail from families in the top 20 percent of the income distribution. "It is not a level playing field, even without cheating," said Mark Kantrowitz, publisher of SavingForCollege.com. 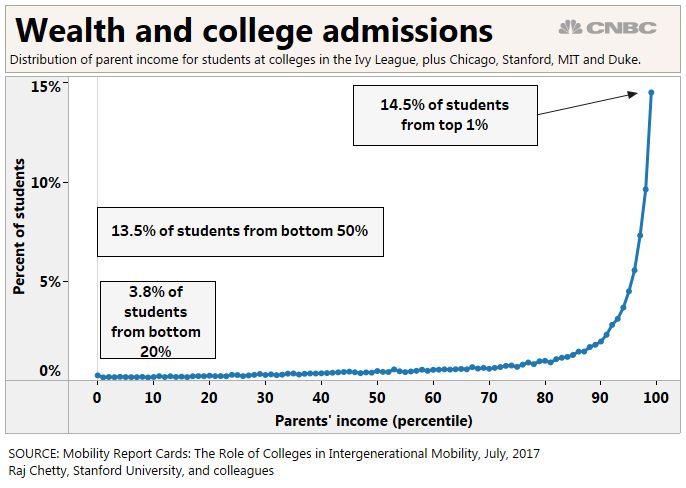 In a recent blog post, Richard V. Reeves, director of the Future of the Middle Class Initiative at the Brookings Institution, a Washington-based think tank, wrote that the recent scandal "simply shines a light on how the whole college admissions game is rigged in favor of those with cash, connections or both." "These children tend to have lived a life where they were provided with the best of education and experiences to prepare them to stand out to colleges," Griffin Rubin said. "And when accepted, that family will have the resources to pay for that education." "It has definitely created a more challenging playing field for lower- and middle-income families," Griffin Rubin said. "But understand that the acceptance or denial of admissions should not impact your character," she said.